The Fire Emblem series has seen a resurgence in the past few years, almost on the brink of cancellation due to low sales and popularity internationally.However,with the release of Awakening in 2013 selling over 2 million copies and the Fates trilogy in 2016 selling almost 2 million, it has solidified itself as one of Nintendo’s mainstay series alongside Mario, Zelda , and Pokemon.The tactical turn based RPG series, at it’s core has stayed the same roughly for a lot of it’s entries, though there is one particular one that has been seen as the black sheep of the series: Fire Emblem 2: Gaiden. When the world got a Fire Emblem Direct earlier this year ,we were just thinking about information on Fire Emblem Warriors and Heroes, and yet we got a whole updated remake on this entry , slated to come out in May. Fire Emblem: Shadow Dragon and the Blade of Light got it’s remake as Fire Emblem: Shadow Dragon for the Nintendo DS back in 2008 that was released nationally, and Fire Emblem 3:Mystery of the Emblem, it’s sequel ,got a remake in New Mystery of the Emblem in 2010 that was only released in Japan. Seeing as this is chronologically, the second game to be released, why was it skipped in favor of Fire Emblem 3? What mechanics are in this game that differ from the other games? Well let’s start with the story. 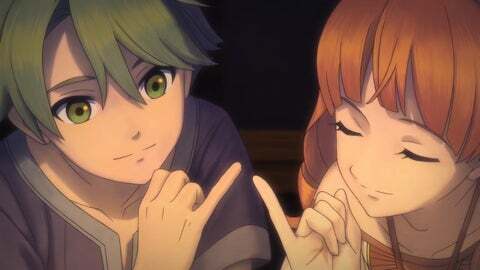 The opening cutscene in the game gives us our two protagonists, Alm and Celica reading about the history of their home continent Valentia, where long ago, the sibling gods , Mila and Duma fought for control over. Eventually the called for a truce and each God took half of the continent, where Mila’s disciples would create Zofia,a land that had a plentiful bounty that eventually made their people lazy, while Duma’s followers would create Rigel, a kingdom with military strength. 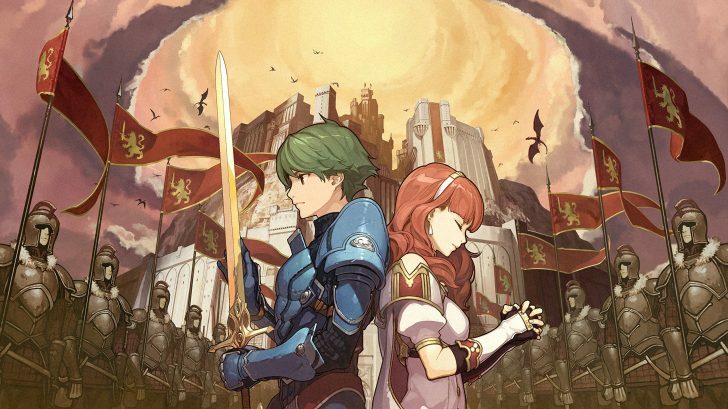 The playable story starts with Alm and Celica as kids when Rigelian soldiers visit their home of Ram Village, at the edge of Rigel, in search of destroying both deities and attempting to control the nation. Alm’s foster grandfather Mycen, who was once a famous General in the Zofian Army protects the pair, along with their friends, Kliff, Tobin, Gray, and Faye. After the conflict, Celica is taken to the island of Novis and we get a timeskip to where all these characters are teenagers. The village is visited by Lukas , a member of the resistance, who opposes the Rigelian empire and has revealed that one of Zofia’s generals has killed the king of Zofia Castle and wants Mycen to lead them in order to bring peace to their land. However, Mycen is no where to be found and Alm and his friends take his place. Meanwhile, Celica is setting off from Novis Island with her group mages, Boey and Mae, and the cleric Genny, in oder to find the missing God, Mila. Eventually, Alm and Celica reunite ,but not before subsequently having a dispute over how they’re going about their way to bring peace to the land, and they are eventually separated. The game from this point on has you controlling both armies on their separate campaigns to the end of the story. There’s nods to other Fire Emblem games, as this takes place chronologically between the two Nintendo DS games, as well as in the distant past of Awakening. The main thing that is different though is in the gameplay mechanics. While fundamentally the gameplay is the same, in turn based combat with each character leveling up through combat experience,there’s a lot of big changes to the Fire Emblem formula in this game.For starters, the weapon triangle has been completely removed, as there’s no characters who use axes in the game, so those coming from international versions of the series, barring Shadow Dragon may be a little uneasy about this. The magic users also must use HP to use their spells, with the exception of Clerics, who have a spell to gain HP and a spell to to heal allies. Archers can also attack adjacent enemies and can aim almost extreme distances that other characters can’t reach. There’s also a fatigue system where if characters fight in too many battles, they will eventually be unable to attack, lose half their HP and must recover by eating food. This leads into one of the biggest changes: the lack of being able to hold multiple weapons and items. Characters can hold one item of their choosing, whether a weapon, shield, food, ring, or miscellaneous items. For items like weapons and shields,if you give the character enough experience, they will unlock a skill tied to that weapon or shield only,so as long as that character holds that item, they can use that skill. This takes staple items like Steel Swords and Longbows, and turns them into something a bit more precious. Another big system changer is the dungeon crawling, where you take control of Alm and Celica in their 3D battle models and explore temples, bandit bases, forests, and caves, in order to find items, money and Mila’s shrines where you can have your characters change classes,recover fatigue, and find springs that increase one specific stat on any character of your choice.You can also fight enemies in these dungeons to gain experience, but you can only have up to 10 people in your party at a time during exploration. You can also visit villages and bases where you can talk to people, inspect the area for hidden goods, and visit a Smithy to forge new weapons from items you already have in exchange for money you can find in the dungeons. 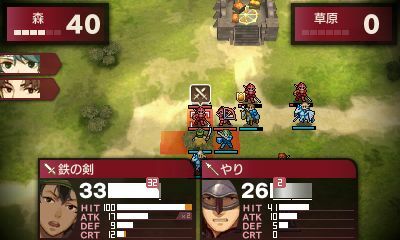 There’s also no pair up function seen in Awakening or Fates, nor the support function from the past entries as well. There’s mid battle conversations that characters have with each other, which can lead to character building, and they can have multiple A rank conversations. Personally speaking, I enjoyed most of the changes to the game and welcomed almost all of them.The 3D work gloriously in the game, and I like to turn it on in the dungeons and in dialog sequences. There’s no function for it in the cutscenes though, though the cutscenes are animated very well. There’s voice acting in 99% of the game and an auto advance function seen in Shin Megami Tensei that I adore and accepted. The English voiceacting is fantastic and drew me into the story even more, though I know there’s probably some people who would be upset if there wasn’t a Japanese option.. This being the only Fire Emblem story I never played through until this point, it’s plot is simple but enjoyable as well.Not every mystery is hidden with a twist and most, with a little forethought, can be understood , but the story as a whole is extremely enjoyable and left me wanting to see it. I also enjoyed the dungeon crawling aspects though, playing on a 3DSXL made it kind of hard to control the camera and move at the same time as camera functions are mapped to the D-Pad.But to be able to search for more weapons and find peddlers to send items to the other army for them to use was a delight as well. The dungeon crawling masked the fact that I could grind as well ,because I needed to escape the area in order to save and continue with the story which was one of my personal biggest gripes with Awakening and Fates Birthright. The biggest and most welcomed addition however is Mila’s Turnwheel,given to you early in the game. One of the items you can find in dungeons are cogs, which allows you to activate the Turnwheel and turn back time during a player phase in order to correct any mistakes made. When I play Fire Emblem, I try to go for a no death run, and it was a slog to soft reset in order to start the entire chapter or mission over. Thanks to Mila’s Turnwheel however, when a character dies, on my next player phase, I can turn back time to before they died, before I made the move that could have lead to their death, or even back to Turn 1 at the very beginning of the battle. The turn wheel is not all powerful though as it has limited uses ,and too many mistakes will eventually have you reset the entire chapter. The turnwheel also cannot help you revive Alm and Celica and that’s an instant game over. There’s also springs in dungeons that can revive allies, which is very useful, but since I use Mila’s Turnwheel to prevent deaths, those springs are pointless, but it’s nice for those on Ironman permadeath runs. Mila’s Turnwheel also allows you to view memories from the past in cut scenes as well as support conversations in order to give complete world building for the game, which I absolutely adore, as it means I don’t necessarily have to replay the entire game to get certain things, unless I want to give my characters different classes. Speaking of that, I also enjoyed the multiple class changes, which I haven’t seen this many of since Radiant Dawn. I was thrilled to give Gray a full level up from Villager-> Cavalier-> Paladin-> Gold Knight, or Kliff from Villager-> Archer-> Sniper-> Bow Knight, and just shows how far characters can go in this game. Speaking of, your units are pretty balanced in this game, though Magic users may get a bit more use since a fair amount of them can learn a spell which destroys a lot of the monsters in the game,and weapon users don’t have much resistance to their attacks, though you can also find weapons that do the same thing. I have not bought the DLC or used any Amiibo with the game and probably won’t as I’ve enjoyed all my time with this game and it really doesn’t need it as Fire Emblem Echoes: Shadows of Valentia delivers a complete package in itself. If I had to give this game a rating ,it would be a 9/10 and a great swan song game for Fire Emblem on the 3DS. I don’t recommend it for new comers to the series as there’s a lot of departures from the franchise in this game unless you’re a fan of Atlus’ dungeon crawling games, specifically Shin Megami Tensei 4, which is also on the 3DS. 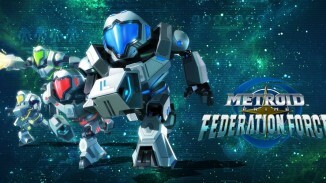 I also can recommend if you’ve played the 3DS games, but don’t expect the freedom to pair units, as this game’s premise was made nearly 25 years ago, and without the forethought of having the option. It is a simple story but excellent gameplay. 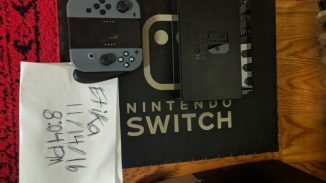 It gives me extreme hope and even hype to see what Fire Emblem Switch will come to be in 2018. 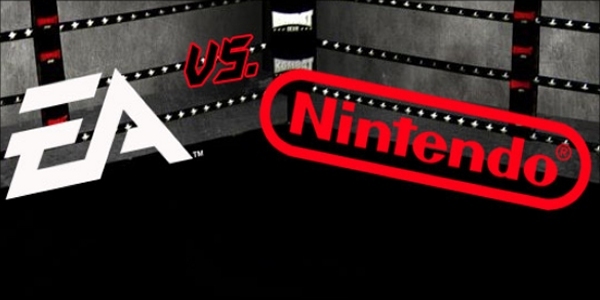 E3 2015: What Happened With Nintendo and EA?